Every year, cases of drunk driving spike over the summer months. 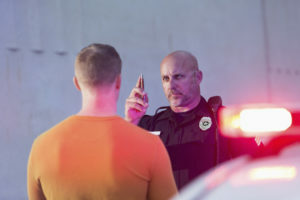 Government agencies and local police have made strong efforts to reduce incidents of impaired driving with public awareness campaigns and DUI checkpoints. With extra attention on this issue from law enforcement, it is important to know your rights. Our New York police brutality lawyer offers some vital information for all drivers. Early reports for this year tell an all too familiar story. Police in Long Island arrested 105 people over the Independence Day weekend, half of which were drunk driving related. Reports from across the state are similar: drunk driving remains a serious problem throughout New York and across the country. If you have been stopped in a DUI checkpoint and think that your rights have been violated, it is important to seek experienced legal counsel. Contact the experienced New York police brutality lawyers at Weiser & Associates today at (212) 213-3111 to schedule your consultation.